Festive-themed Novella: Twelfth Planet Press is looking to publish a series of festive-themed novellas that will bring joy, laughter and comfort. 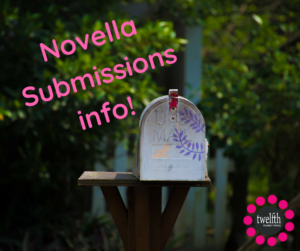 So you’ve got a novella and you’re hanging out to submit it to our submissions call. Now all you want is the information. Well, wait no longer, here is the 411! Secondly, after you’ve confirmed your novella meets our guidelines, check the calendar. We are open from August 1, 2018 to August 31 2018 (midnight AEST). To submit your novella, head over here.